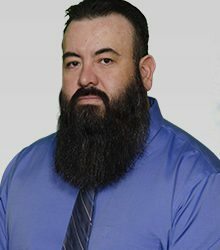 Phillip has worked at Texas Title for 1 year and 3 months, he studied communications and architecture at EPPC and Sul Ross University. He has a beautiful daughter named Kylie. Phillip is diligent in his work as a title examiner as he performs a crucial service to those who wish to buy or sell real property. And just like his role model Batman he will make sure to defend and protect you from any title problems.